In the last few months, Gucci has made some extremely questionable decisions. Obviously, their "blackface" sweater was the most controversial thing to happen in the fashion world this year, leading many of our favorite entertainers to swear off of the luxury brand. As trendsetters in the industry, the Alessandro Michele-led label always tries to push the boundaries pertaining to the clothes we wear on our backs. They have been extremely influential over the years and recently, a surge inside the hip-hop community has been apparent with styles that are more appropriate for streetwear. 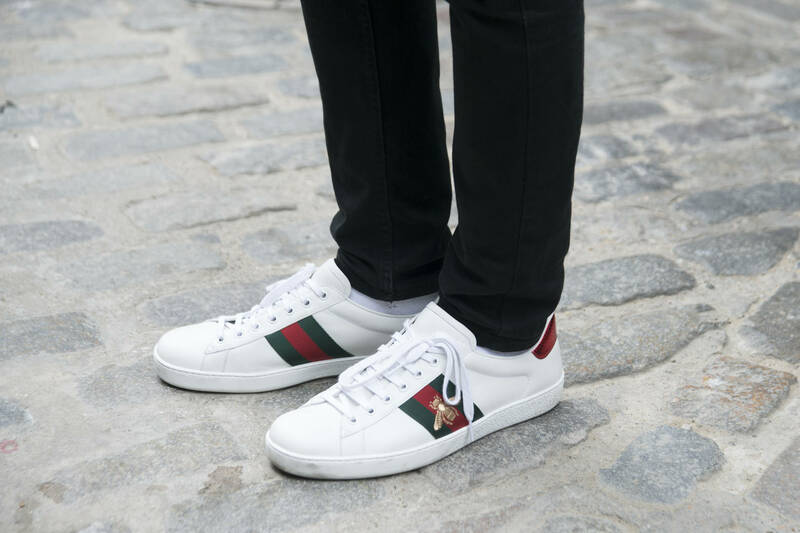 As Gucci continues to turn heads, this time folks are astounded after they released a range of sneakers that are purposely dirty, hawking them for over $900. Now, if you're a hypebeast and you're looking for a quick flex, these are a solid choice. They're already messed up so you don't have to worry about getting them even dirtier. You can wear them to all the summer festivals and through the mud -- nothing will happen to them. On the other hand, it's mind-boggling to think of why anybody would spend so much bread on some kicks that look like hand-me-downs. According to the New York Post, low and high top styles are available for men and women's pairs with strawberries and cherries are on sale for over $1000. In my opinion, they don't look bad at all. Does that justify spending nearly a thousand dollars on them? Not in my books. All the more power to you though. Would you rather rock a fresh pair of Aces (seen above) or these joints?